Geographically, the North American region held the largest market share in 2018 wherein, the United States accounted for the highest revenue. This growth is driven by the high investments in cardiovascular and cancer research, growing demand for cancer API’s, constructive government reforms, availability of highest number of FDA approved manufacturing facilities and demand for generic drugs and adaptation of novel manufacturing technologies. Europeheld the second largest share in 2018 where, Italy and Germany dominates the market, as Italy is the leader in API manufacturing mainly driven by exports, which represents 74% of the turnover and Germany is the leader in Finished dose formulation market. 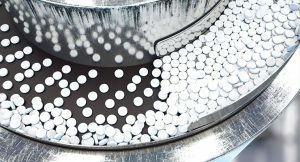 The Pharmaceutical Contract Manufacturing global market is evolving with the increase in the number of API manufacturers. Many of the pharmaceutical companies without manufacturing and advanced capabilities of API and FDF tend to outsource manufacturing to CMOs. In pharma contract manufacturing market CMOs are strategically enhancing their service capabilities by acquisition, investment, an expansion for providing access to new API and FDF manufacturing capacity and technologies. For instance, in January 2019, Cambrex Corporation has acquired Avista Pharma, a contract development, manufacturing, and testing organization (CDMO) for about $252 million, the facility adds pre-formulation, formulation, process development. Pharmaceutical contract manufacturing global market is expected grow at a CAGR of 6.7% from 2018 to 2025 to reach $95,904.9 million by 2025. Identification and analysis of the pharmaceutical contract manufacturing market by identifying various segments by product (customer base and dosage form), phase, application, and geography. Revenue forecast of the pharmaceutical contract manufacturing market and strategic analysis of each sub-segment with respect to segmental growth trends. Identification of major market trends, Porter’s model, supply chain and factors driving and restraining pharmaceutical contract manufacturing market growth. API average selling price (ASP), overall market share, company capabilities, acquisitions, collaboration, expansion, ANDA approval, patent expiry, API pricing, FDA approved manufacturing facility, drug master filing and company matrix tables. Global pharmaceutical API production volume (In-house, contract manufacturing), cost of manufacturing facility and India v/s China pharmaceutical contract manufacturing market. Global pharmaceutical contract manufacturing, API contract manufacturing and FDF contract manufacturing market share analysis of major players. Revenue forecast of the pharmaceutical contract manufacturing market with respect to North America (U.S., Rest of North America), Europe (Germany, France, Italy and Rest of Europe), Asia-pacific (China, India, Japan and Rest of Asia-Pacific) and Rest of the World (Brazil, Rest of Latin America, Middle East and Others). Analysis of the opportunities for stakeholders by identifying the high-growth segments of the market. Identification of key technology developments and innovations driving the market. Profiles of major players in the pharmaceutical contract manufacturing market and analysis of their service offerings, financial revenue, business strategies, SWOTs and market shares.